"Mark" means any visible sign capable of distinguishing the goods (trademark) or services (service mark) of an enterprise and shall include a stamped or marked container of goods. "Trade name" means the name or designation identifying or distinguishing an enterprise. Non-use of a Mark When Excused. — 152.1. Non-use of a mark may be excused if caused by circumstances arising independently of the will of the trademark owner. Lack of funds shall not excuse non-use of a mark. 152.2. The use of the mark in a form different from the form in which it is registered, which does not alter its distinctive character, shall not be ground for cancellation or removal of the mark and shall not diminish the protection granted to the mark. 152.3. The use of a mark in connection with one or more of the goods or services belonging to the class in respect of which the mark is registered shall prevent its cancellation or removal in respect of all other goods or services of the same class. EXCEPTION: Such assignment or transfer shall, however, be null and void if it is liable to mislead the public, particularly as regards the nature, source, manufacturing process, characteristics, or suitability for their purpose, of the goods or services to which the mark is applied. FORMALITY: The assignment of the application for registration of a mark, or of its registration, shall be in writing and require the signatures of the contracting parties. 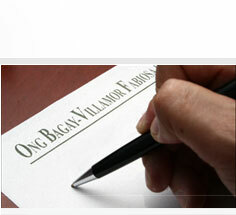 Transfers by mergers or other forms of succession may be made by any document supporting such transfer. Contrary to public order or morality. (Section 147.1) The owner of a registered mark shall have the exclusive right to prevent all third parties not having the owner's consent from using in the course of trade identical or similar signs or containers for goods or services which are identical or similar to those in respect of which the trademark is registered where such use would result in a likelihood of confusion. In case of the use of an identical sign for identical goods or services, a likelihood of confusion shall be presumed. TRIPS ARTICLE 17: Exceptions (FAIR USE OF TRADEMARK) Members may provide limited exceptions to the rights conferred by a trademark, such as fair use of descriptive terms, provided that such exceptions take account of the legitimate interests of the owner of the trademark and of third parties. GENERAL RULE: Within five (5) years from the date of the registration of the mark under this Act. At any time, if the registered owner of the mark without legitimate reason fails to use the mark within the Philippines, or to cause it to be used in the Philippines by virtue of a license during an uninterrupted period of three (3) years or longer. At any time, if the registered mark becomes the generic name for the goods or services, or a portion thereof, for which it is registered, or has been abandoned, or its registration was obtained fraudulently or contrary to the provisions of this Act, or if the registered mark is being used by, or with the permission of, the registrant so as to misrepresent the source of the goods or services on or in connection with which the mark is used. EXCLUSIVE JURISDICTION: The filing of a suit to enforce the registered mark with the proper court or agency shall exclude any other court or agency from assuming jurisdiction over a subsequently filed petition to cancel the same mark. A registered mark shall not be deemed to be the generic name of goods or services solely because such mark is also used as a name of or to identify a unique product or service. (RECIPROCITY & INTERNATIONAL CONVENTIONS - Section 3) Any person who is a national or who is domiciled or has a real and effective industrial establishment in a country which is a party to any convention, treaty or agreement relating to intellectual property rights or the repression of unfair competition, to which the Philippines is also a party, or extends reciprocal rights to nationals of the Philippines by law, shall be entitled to benefits to the extent necessary to give effect to any provision of such convention, treaty or reciprocal law, in addition to the rights to which any owner of an intellectual property right is otherwise entitled by this Act. CLAIM FOR PRIORITY RIGHT: (SECTIONS 131.1 to 131.4) An application for registration of a mark filed in the Philippines by any person who is a national or who is domiciled or has a real and effective industrial establishment in a country which is a party to any convention, treaty or agreement relating to intellectual property rights or the repression of unfair competition, to which the Philippines is also a party, or extends reciprocal rights to nationals of the Philippines by law, and who previously duly filed an application for registration of the same mark in one of those countries, shall be considered as filed as of the day the application was first filed in the foreign country. However, no registration of a mark in the Philippines by said person shall be granted until such mark has been registered in the country of origin of the applicant. Nothing in this section shall entitle the owner of a registration granted under this section to sue for acts committed prior to the date on which his mark was registered in this country: Provided, That, notwithstanding the foregoing, the owner of a well-known mark as defined in the Intellectual Property Code, that is not registered in the Philippines, may, against an identical or confusingly similar mark, oppose its registration, or petition the cancellation of its registration or sue for unfair competition, without prejudice to availing himself of other remedies provided for under the law. In like manner and subject to the same conditions and requirements, the right provided in this section may be based upon a subsequent regularly filed application in the same foreign country: Provided, That any foreign application filed prior to such subsequent application has been withdrawn, abandoned, or otherwise disposed of, without having been laid open to public inspection and without leaving any rights outstanding, and has not served, nor thereafter shall serve, as a basis for claiming a right of priority. (DESTRUCTION OF INFRINGING MATERIALS – Section 157.1) In any action arising under this Act, in which a violation of any right of the owner of the registered mark is established, the court may order that goods found to be infringing be, without compensation of any sort, disposed of outside the channels of commerce in such a manner as to avoid any harm caused to the right holder, or destroyed; and all labels, signs, prints, packages, wrappers, receptacles and advertisements in the possession of the defendant, bearing the registered mark or trade name or any reproduction, counterfeit, copy or colorable imitation thereof, all plates, molds, matrices and other means of making the same, shall be delivered up and destroyed.